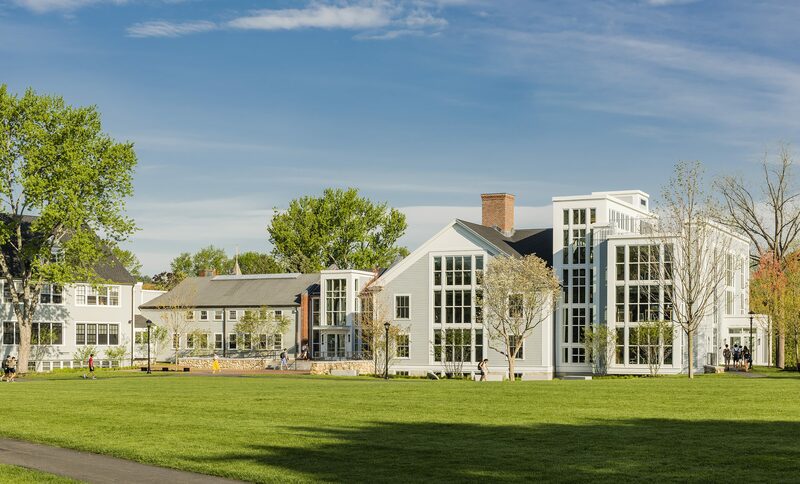 CA Labs represents a new approach to learning environments, supporting Concord Academy’s interwoven disciplines and dynamic pedagogies. 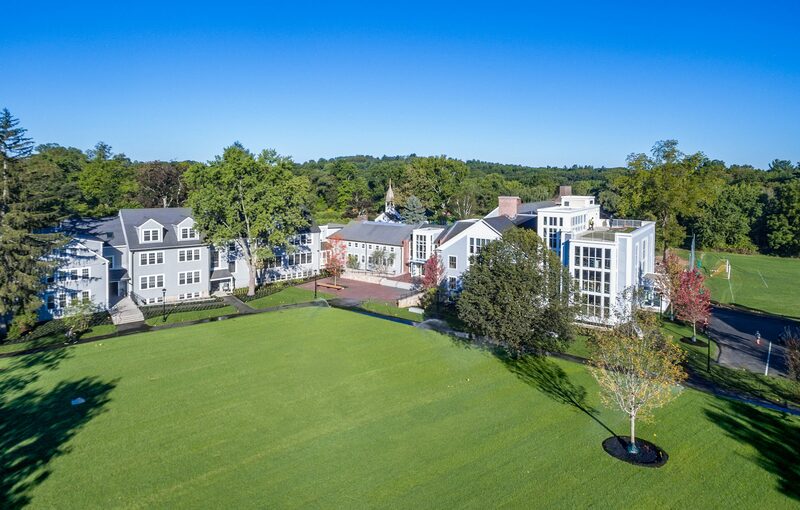 Located in Concord’s historic center, the School must work with “square inches, not square feet,” assuring all interior and exterior spaces are producing transformative learning outcomes. 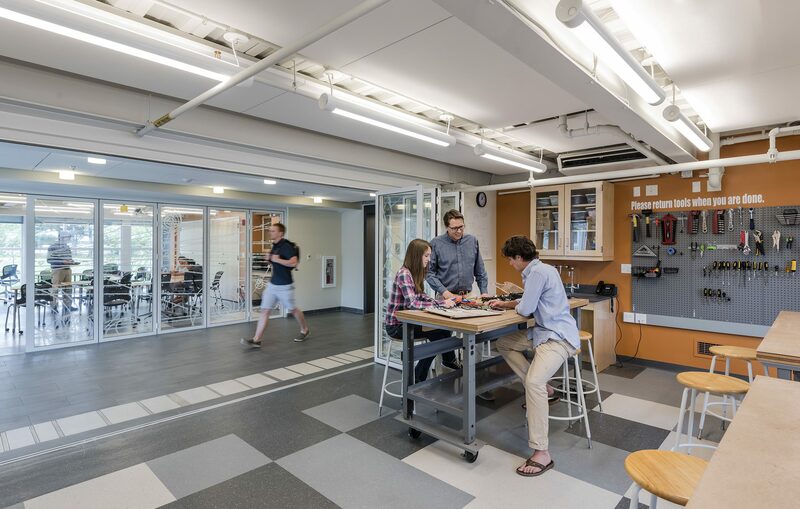 The new CA Labs spaces support this ideology by enabling faculty to more effectively deliver an experiential and multi-disciplinary curriculum through departmentally enabled learning environments. Flexible laboratories are equipped to support the blurred boundaries between science, language, history, math, and co-curricular activities. 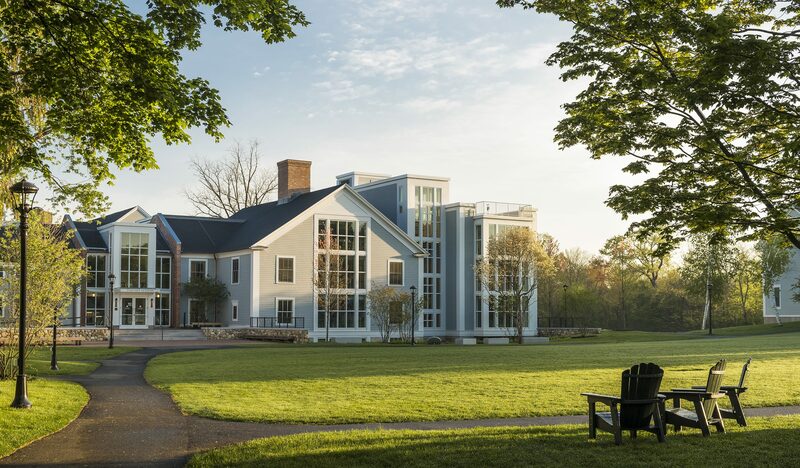 This addition and renovation provides an iconic and timeless face of creativity and collaboration to the Quad. 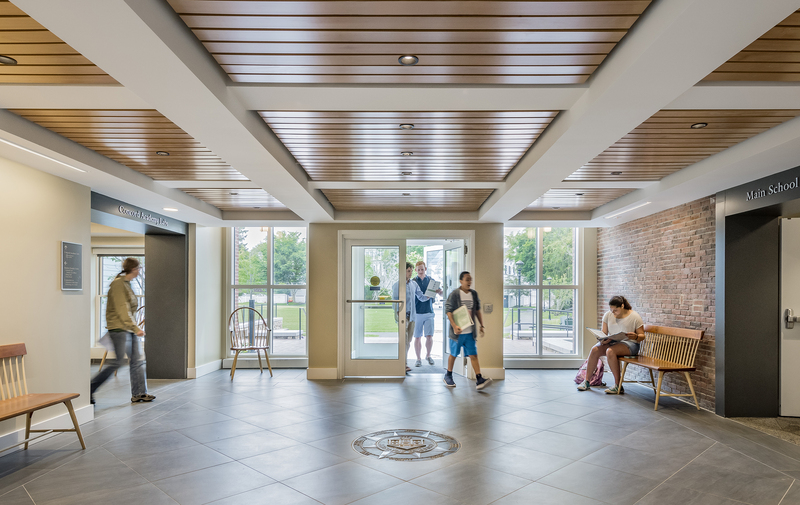 The building’s design increases opportunities for interactive learning with whiteboards and educational graphics placed along interior corridors. 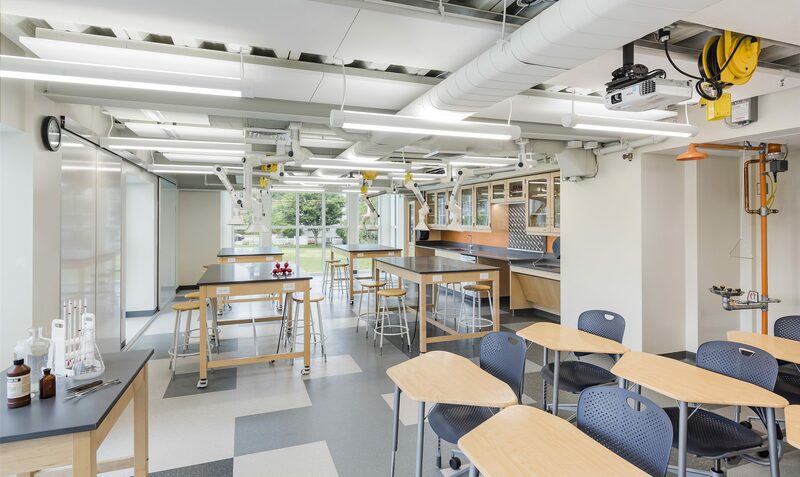 Large windows draw light into previously closed off learning environments and walls made of operable glass systems help to redefine the boundaries of the classroom. 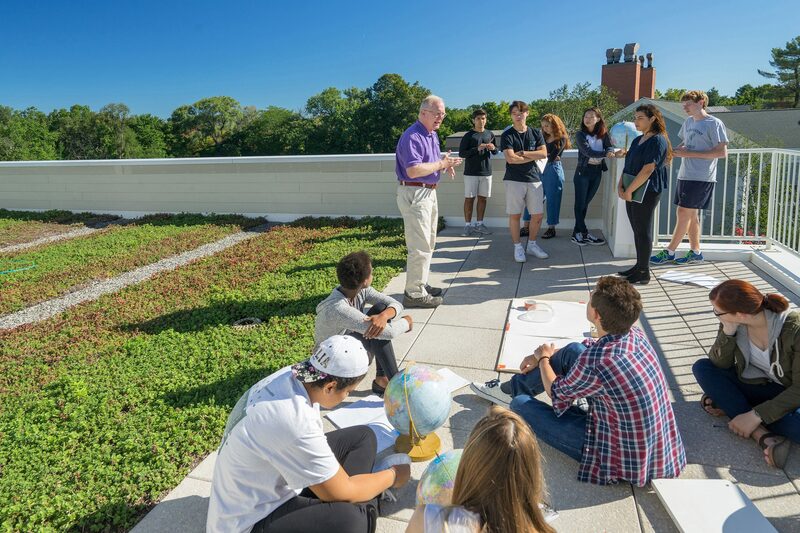 The design also strengthens the opportunity for educational expeditions outside with the inclusion of a sundial, green roof, and “Maker’s Alley”, where students can test their experiments and collaborations. Adding these spaces on campus allows groups such as DEMONS (Dreamers, Engineers, Mechanics and Overt Nerds) to have areas to engage with their curiosity. 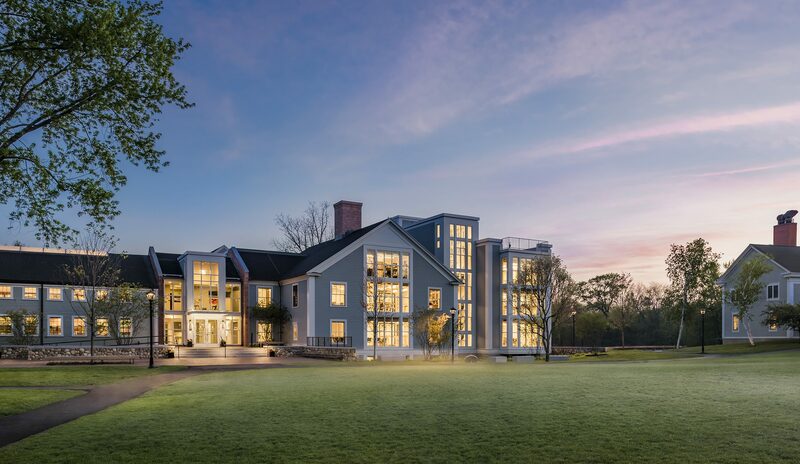 The project also recaibrated the entry sequence into Concord Academy’s main building complex. 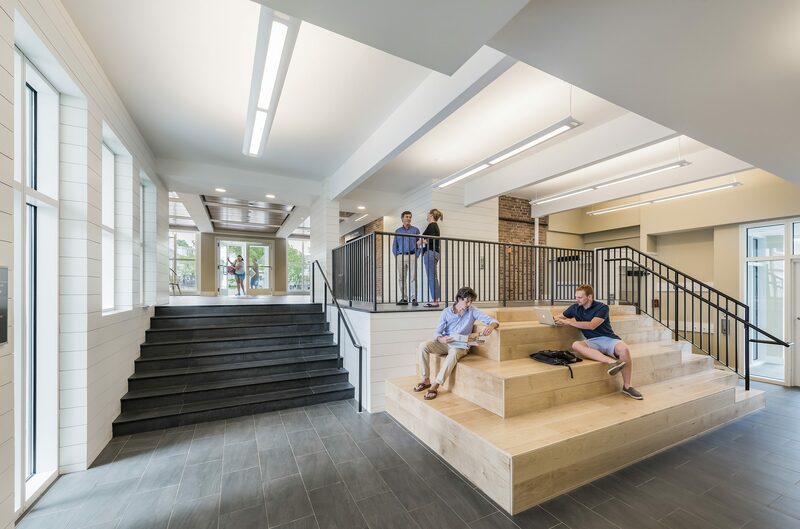 A new exterior plaza, lobby, and staircase encourages gathering and allows for circulation between the new CA Labs, student dining, and library.